The USAID Activities dataset is a snapshot of activities supported by USAID including their geographical locations within countries at the time of the snapshot. The data were used to create the map.usaid.gov web site on the Where We Work page. Only a subset of USAID's field offices provided data and many provided data on only a part of their portfolios. Efforts are underway to harmonize the way data are collected by USAID missions which, when completed, will facilitate the display of a comprehensive portfolio of USAID activities. The geographic names and boundaries in this dataset may not reflect the views of the United States Government on the sovereignty over geographic features. This spreadsheet contains descriptions of activities. USAID's Development Credit Authority (DCA) works with investors, local financial institutions, and development organizations to design and deliver investment alternatives that unlock financing for U.S. Government priorities. Whether it's getting working capital to promising entrepreneurs or input financing to small farmers, DCA seeks to prove the commercial viability of underserved markets so that lending and investment continues long after we exit. The Development Credit Authority (DCA) uses partial credit guarantees to mobilize local financing in developing countries. Guarantee agreements encourage private lenders to extend financing to underserved borrowers in new sectors and regions. By opening up local channels of financing, USAID is empowering entrepreneurs in developing countries at a minimal cost to the U.S. taxpayer. 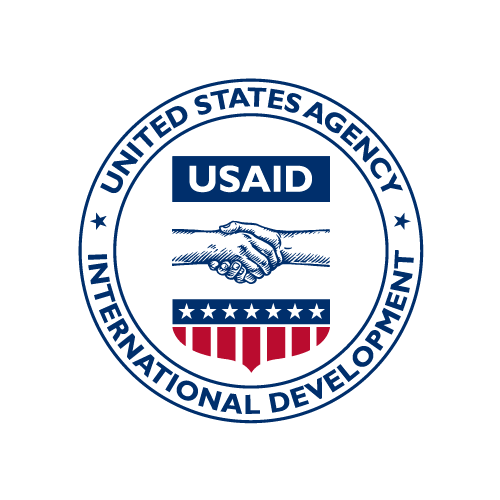 This USAID dataset shows the partial credit guarantees that USAID has issued since the development credit authority program was founded in 1999. The spreadsheet reflects the full facility size of each guarantee, how much was lent under the guarantee, the status of the guarantee (i.e., active or expired), how much in claims the bank submitted due to losses it incurred for loans placed under the guarantee, and how many loans were placed under coverage of the guarantee. The data also shows the sector and country for each guarantee. The USAID Forward reform initiative ran from 2010-2016. USAID Forward improved the way that the Agency delivers foreign assistance by embracing new partnerships, investing in the catalytic role of innovation, and demanding a renewed focus on results. In 2017, the Agency determined that the work advanced under USAID Forward had largely been institutionalized. On this site, you will find the FY 2012-2016 data related to USAID Forward's three main areas of focus: 1) Deliver results on a meaningful scale through a strengthened USAID, 2) Promote sustainable development through high-impact partnerships and local solutions, and 3) Identify and scale up innovative, breakthrough solutions to intractable development challenges. As of October 2017, we are no longer updating information, including collecting indicators, on this legacy effort. This dataset contains the number of USAID missions supporting mobile money initiatives during 2010-2016, a part of the USAID Forward reform initiative that ran from 2010-2016. USAID Forward improved the way that the Agency delivers foreign assistance by embracing new partnerships, investing in the catalytic role of innovation, and demanding a renewed focus on results. In 2017, the Agency determined that the work advanced under USAID Forward had largely been institutionalized. On this site, you will find the FY 2012-2016 data related to USAID Forward's three main areas of focus: 1) Deliver results on a meaningful scale through a strengthened USAID, 2) Promote sustainable development through high-impact partnerships and local solutions, and 3) Identify and scale up innovative, breakthrough solutions to intractable development challenges. As of October 2017, we are no longer updating information, including collecting indicators, on this legacy effort. ForeignAssistance.gov provides a view of U.S. Government foreign assistance funds across agencies and enables users to explore, analyze, and review aid investments in a standard and easy-to-understand format. This dataset contains the mission program funds per year implemented through local systems during the period 2010-2016, a part of the USAID Forward reform initiative that ran from 2010-2016. The USAID Forward reform initiative ran from 2010-2016. USAID Forward improved the way that the Agency delivers foreign assistance by embracing new partnerships, investing in the catalytic role of innovation, and demanding a renewed focus on results. In 2017, the Agency determined that the work advanced under USAID Forward had largely been institutionalized. On this site, you will find the FY 2012-2016 data related to USAID Forward's three main areas of focus: 1) Deliver results on a meaningful scale through a strengthened USAID, 2) Promote sustainable development through high-impact partnerships and local solutions, and 3) Identify and scale up innovative, breakthrough solutions to intractable development challenges. As of October 2017, we are no longer updating information, including collecting indicators, on this legacy effort. This dataset contains the proportion of staff work plans with at least one direct engagement performance measure during the period 2010-2016, a part of the USAID Forward reform initiative that ran from 2010-2016. USAID Forward improved the way that the Agency delivers foreign assistance by embracing new partnerships, investing in the catalytic role of innovation, and demanding a renewed focus on results. In 2017, the Agency determined that the work advanced under USAID Forward had largely been institutionalized. On this site, you will find the FY 2012-2016 data related to USAID Forward's three main areas of focus: 1) Deliver results on a meaningful scale through a strengthened USAID, 2) Promote sustainable development through high-impact partnerships and local solutions, and 3) Identify and scale up innovative, breakthrough solutions to intractable development challenges. As of October 2017, we are no longer updating information, including collecting indicators, on this legacy effort. This dataset contains the number of completed high-quality evaluations in each USAID mission in the period 2010-2016, a part of the USAID Forward reform initiative that ran from 2010-2016. USAID Forward improved the way that the Agency delivers foreign assistance by embracing new partnerships, investing in the catalytic role of innovation, and demanding a renewed focus on results. In 2017, the Agency determined that the work advanced under USAID Forward had largely been institutionalized. On this site, you will find the FY 2012-2016 data related to USAID Forward's three main areas of focus: 1) Deliver results on a meaningful scale through a strengthened USAID, 2) Promote sustainable development through high-impact partnerships and local solutions, and 3) Identify and scale up innovative, breakthrough solutions to intractable development challenges. As of October 2017, we are no longer updating information, including collecting indicators, on this legacy effort. This dataset contains the value of public-private partnerships with a minimum of 1:1 leverage during the period 2010-2016, a part of the USAID Forward reform initiative that ran from 2010-2016. USAID Forward improved the way that the Agency delivers foreign assistance by embracing new partnerships, investing in the catalytic role of innovation, and demanding a renewed focus on results. In 2017, the Agency determined that the work advanced under USAID Forward had largely been institutionalized. On this site, you will find the FY 2012-2016 data related to USAID Forward's three main areas of focus: 1) Deliver results on a meaningful scale through a strengthened USAID, 2) Promote sustainable development through high-impact partnerships and local solutions, and 3) Identify and scale up innovative, breakthrough solutions to intractable development challenges. As of October 2017, we are no longer updating information, including collecting indicators, on this legacy effort. This dataset contains the number of emerging local staff participating in formal mentoring programs during the period 2010-2016, a part of the USAID Forward reform initiative that ran from 2010-2016. USAID Forward improved the way that the Agency delivers foreign assistance by embracing new partnerships, investing in the catalytic role of innovation, and demanding a renewed focus on results. In 2017, the Agency determined that the work advanced under USAID Forward had largely been institutionalized. On this site, you will find the FY 2012-2016 data related to USAID Forward's three main areas of focus: 1) Deliver results on a meaningful scale through a strengthened USAID, 2) Promote sustainable development through high-impact partnerships and local solutions, and 3) Identify and scale up innovative, breakthrough solutions to intractable development challenges. As of October 2017, we are no longer updating information, including collecting indicators, on this legacy effort.